I've been neglecting my blog a little bit this summer, but with good reason. My photography business has kept me busy! From shooting, to editing, to client viewings, to processing orders, and to overall business development - I've had very little time to put towards blogging and I have so many sessions that I'd love to blog about and share. For now, here is a look at a family session I photographed last month. I have been photographing this family since Honor's first birthday a few years ago. They are so lovely and I look forward to seeing them every year. 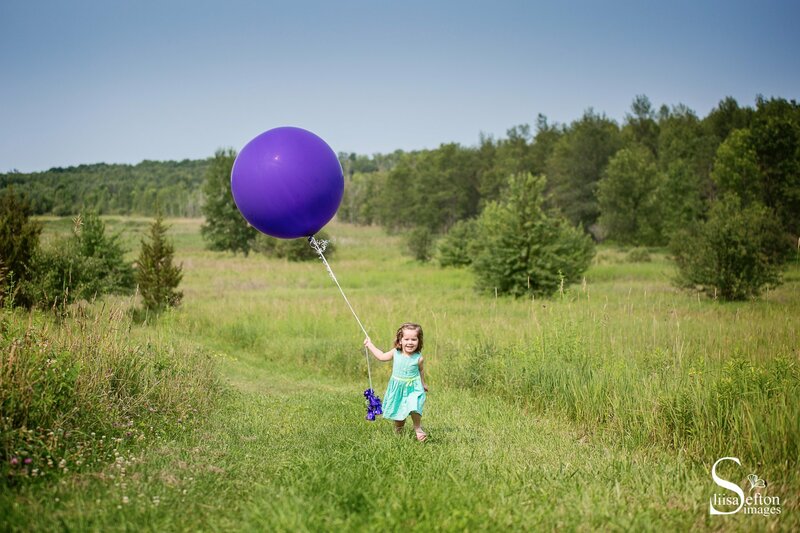 This year, we photographed their family session in Oro-Medonte, in one of my favourite locations. It was a perfect day... except for the mosquitos... they seem really bad this year, dont they? Here are just a few of my favourite frames from their session. Contact me, if you are interested in booking a family session. I'd be happy to fit you in for the fall. Jasmine - They look like they should belong in a magazine! I especially like the last photo. It looks like the little girl is being taken away by the balloon. hahah! Lovely!